[Mary Louisa Mitchell/Michel Binckley at Mossy Creek [Tennessee], to John Milton Binckley at Milwaukee, Wisconsin, February 12, 1877]. For three days past, in fact ever since it became so apparent that the Democrats had been trapped that I was compelled to realize it, I have been trying to make up my mind what to write to you. I am so indignant that I feel as if I myself could fight rather than see such fraud successful. For us especially what hope can there be in a future so dominated by your enemies? But the Democrats seem to have no spirit left. Will they fight for their rights, or not? If they do, my impulse is to say to you go into the army at once. But have I the right to say what might involve such fearful consequences? And yet I cannot say do not go. I know you would yourself, much rather go into action of some kind: and you would not feel the risk as I would, waiting in silence. And if I should consent and anything should happen [to] you, how could I justify myself to your children? It is a fearful thing! All I can say is this -- if a war comes, you have my consent to act as seems to you best and right, no matter what that way may be. I have . . . . . brought . . . very . . . clothes[?] . . . to the L . . . what is . . . It is very . . . to . . . I am witness[?] for . . . after it is . . . but then I must . . . have patience. Do Milton write to me whether Hayes will be President, or not. P-----g refused my pictures. I intend to write to that Chicago man shortly. I am having neuralgia badly for the past week; but my health is better than for some years past: almost restored. Am suffering this morning, and stupid from [a] restless night. Cannot write more just now. Children perfectly well & doing well. Nellie is almost too busy. Election of 1877 electoral map (from presidentelect.org). 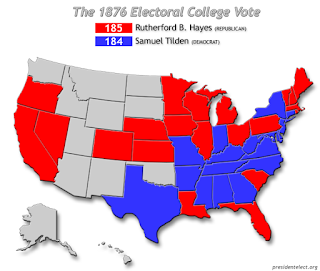 Rutherford B. Hayes (R) was awarded one more electoral vote than Samuel J. Tilden (D): 185 to 184. Tilden won more than 50% of the popular vote. Voter participation was just under 82% of those eligible. 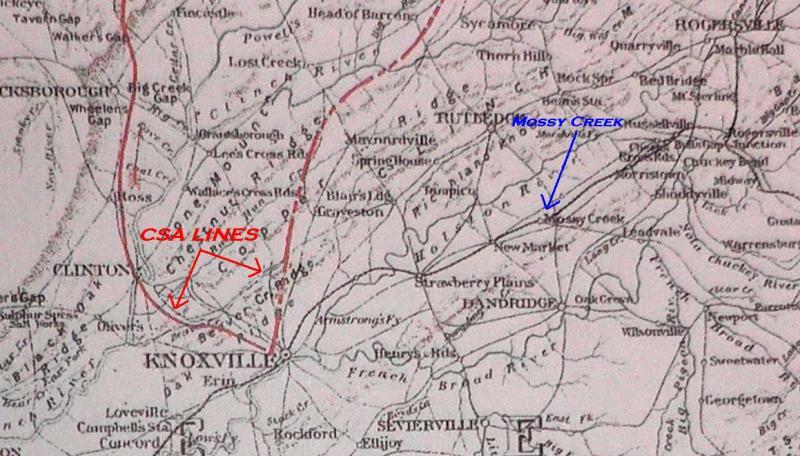 The Compromise of 1877 ended Reconstruction in the South, abandoning African Americans to "home rule" and Jim Crow. In exchange, Republicans retained the presidency.